Loose Ends 23, screenprint, 90x66cm, 2018. As the nights turn darker and the weather closes in, I have one last release to share. Join me for one last jolt of Summer as we dance our way through Winter. I’m pleased to announce my new print edition ‘Loose Ends (23)’, released exclusively by Hen’s Teeth, Dublin. This release is an opportunity to stop scrolling and to experience the prints up close and personal in Hen’s Teeth bricks and mortar store. 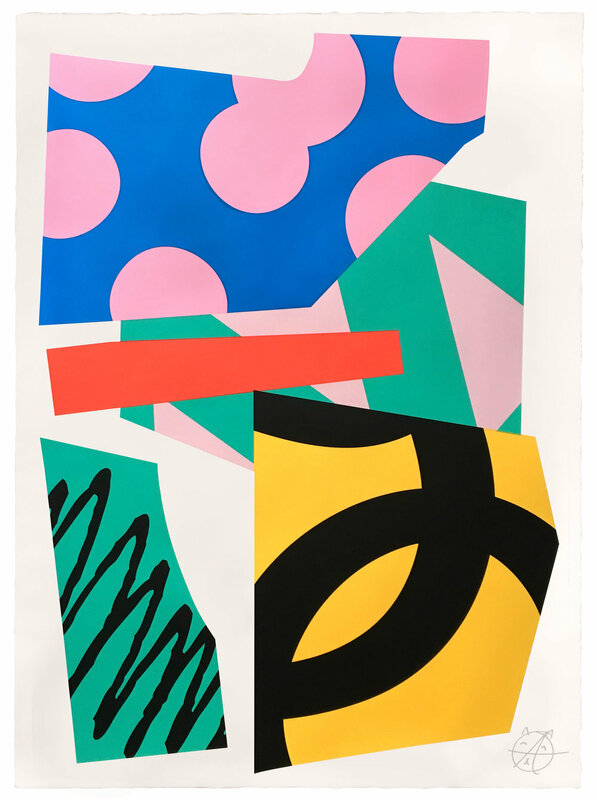 Insanely expressive, endless but never replicating, these prints are so big and bright you’ll feel your pupils dilate. Now available for purchase either in store, or online via Hen’s Teeth.